New on Blu-ray and DVD for July 10, 2018! We have a few PA flicks out this week, which is always good to see. First up is The Quiet Place, a huge hit from earlier in the year. The film takes place in a post-apocalyptic world, a family is forced to live in silence while hiding from monsters with ultra-sensitive hearing. In Future World, a young boy searches a future world wasteland for a rumored cure for his dying mother. The film starring James Franco, Milla Jovovich, Suki Waterhouse and Lucy Lui looks pretty much like Mad Max lite, but, hey, it's PA! 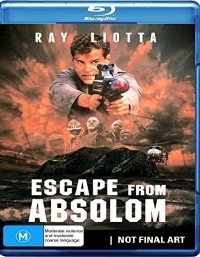 In the year 2022 society has created the ultimate solution for its most ruthless criminals--Absolom a remote jungle island where prisoners are abandoned and left to die. For most Absolom means no escape no hope and virtually no chance of survival. Marine Captain John Robbins (Ray Liotta), has been sentenced and banished to the remote prison island for assassinating his commanding officer. Run by The Warden (Michael Lerner), Absolom is divided into two camps: The Outsiders, led by the brutal and bloodthirsty Marek (Stuart Wilson), and The Insiders, led by the strong-willed, benevolent Father (Lance Henriksen) and his followers Hankins (Ernie Hudson) and Casey (Kevin Dillon). Robbins doesn't care to join either, his only aim is to escape and now the ultimate prison becomes his ultimate challenge. Inspired by one of the longest and bloodiest real-life events in police history. 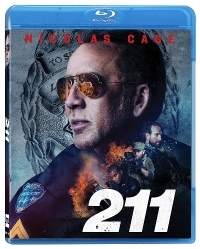 Officer Mike Chandler (Nicolas Cage) and a young civilian passenger find themselves under-prepared and outgunned when fate puts them squarely into the cross hairs of a daring bank heist in progress by a fearless team of highly trained and heavily armed men.